Kanchi Kailasanathar Temple is located on the banks of River Vedavathi in the west of Kanchipuram. 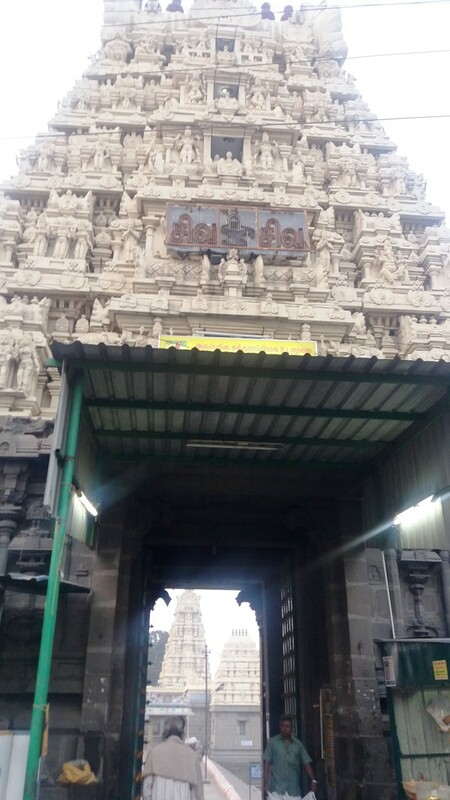 Built in 650 AD-705 AD, by the Pallavas, it is the oldest temple of Kanchipuram. Currently it is looked after by the Archeological Survey of India. The foundation of the temple is made of granite and the outer structure and carvings are made of sandstone. The main shrine of the temple has 16 sided Shivlinga made in black granite. Numerous carved images of Gods and Goddesses are seen on the inner and outer walls of the temple. The temple has a high rising tower at the entrance. This is the only temple in Kancheepuram which retained its originality after being built by the Pallavas. All the other temples have been modified by the other rulers. The prime attraction of this temple is its circumabulatory narrow passage through which devotees must crawl through after climbing steps to reach the passage. It signifies the entrance of a person and his exit from paradise.This experience is truly divine. With an amazing serene environment and an ancient Dravidian architecture style, this temple is one of the epitomes of divinity which has got to be visited at least once in the lifetime. One can marvel at the wonderful architecture. Another important thing you can see there is the Nandi statue and the pond which is located near the Nandi, but prevented it with barbed wire. One can sit and relax in the green lawn inside the premises within the serene environment. If visited in the morning, large number of parrots can be seen there. For shopping, you can find small shops outside the temple who sell varieties of small statues and local handicrafts. Maha Shivarathri is the most important festival of this temple, celebrated in Feb-March. Visiting this temple during this festival is considered very auspicious. Other days regular pujas are offered in the morning and in the evening. Temple timings - 6 a.m to 12 noon and 4 to 7 p.m. Many tourists visit this temple to admire the architecture marvel. There are many restaurants near the temple to satisfy your appetite.